I 2nd that Mike!! A remarkable camera, but I still have my Canon 5D MII & 7D MII. I 3rd that Mike and Mark. I love my Sony RX10 iii. But I also kept my Canon 5D MIII. If you want to see some pictures that were shot with the Sony RX10 iii checkout my most recent posts! I have the RX10 mk iii. I went to california with it and took pictures at the beach from the pier of all the people on the beach. I got a few surfers in the surf as well. The pictures were sharp, and the reach was amazing. You could actually count the strands of hair on some heads that were 200 feet away. It’s become my favorite travel camera for the same reasons you describe. I just don’t want to haul a load around anymore. Bought the camera with a we’ll see attitude and was very impressed. You won’t go wrong. The weight is not bad, the glass is amazing and the batteries last for a decent time but if you go to the bush make sure you take at least three extra batteries with you because you will be snapping away. I also have an Sony RX10 mk iii and you can have a look at my recent posts from Rocky Mountain National Park to get an idea of sharpness! I love having the option from wide-angle to 600 mm telephoto - all hand held! Thanks for looking and commenting sailorsmom and steve L! Hope you see more moose sailorsmom! Nice photos. 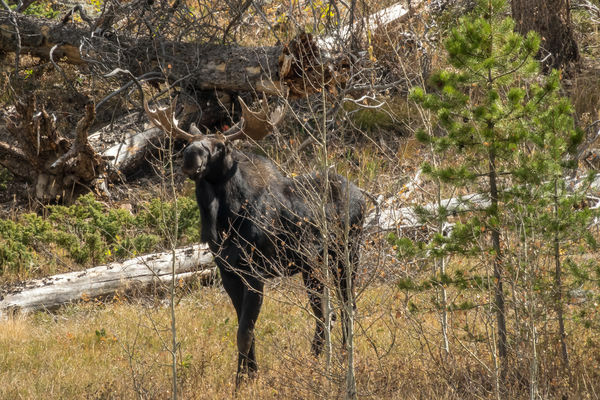 I have seen moose several times here in Utah but only in the mountains. I have never seen them come down into the valley the way deer do when we have heavy snow in the winter. #1 was in the mountains while the rest were in the valley. Thanks for comments and taking a look Bigmike1! Thanks J-SPEIGHT and Bultaco. Moose are easy to love! Great shots!! ....found a few (quite) of moose about 15 miles this side of walden,Co but only 5:30 or so am. Believe was called lake Michigan (camping cabins w/o power area). Needed a super zoom tho for them....these are terrific!! We considered heading up the Walden! Thanks for your comments dasher! Going back to Alaska again sounds like a good plan! 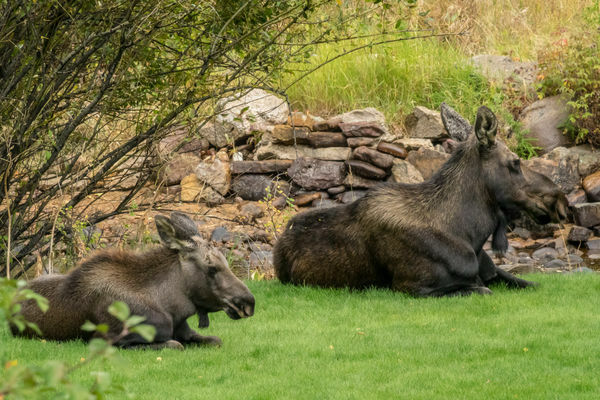 After taking a picture of the moose cow and her calf I went to a mountainside home that the owner said had a cow and calf most every morning. Of course when I arrived there were no moose to be found. I showed him picture #2 and he said that they were his pair! They were more than a mile away when i photographed them! Thanks phlash46 and UTMike for looking and feedback! Thanks BlueMorel and Sinewsworn! 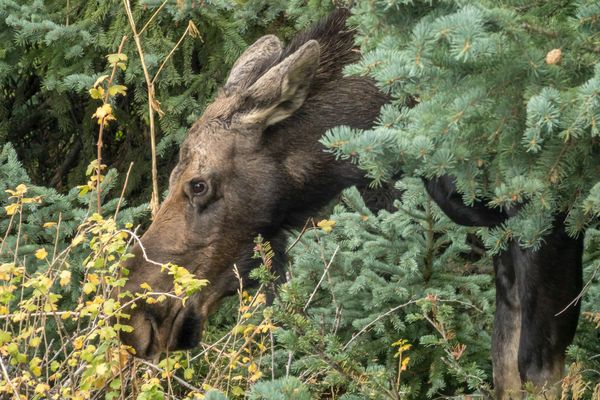 Sometimes finding moose is like finding a needle in a haystack, but other times it seems like they are willing to pose. Thanks for your comments UTMike and Retired CPO! Thanks for looking and comments crafterwantabe and GWR100! Thanks for your comments blue-ultra, blacks2 and cwilson341. 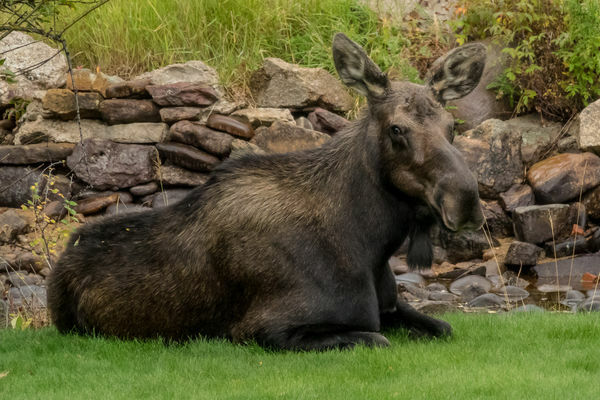 I will follow up with some moose pictures.